How to custom the duration of each path? 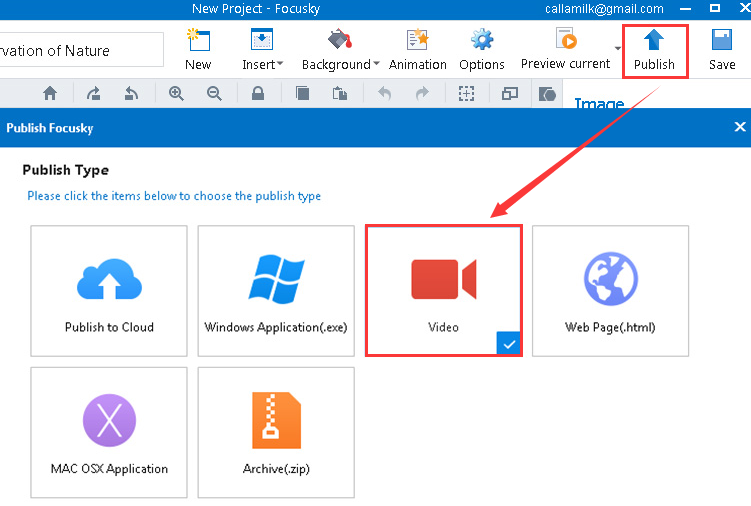 Focusky allows you to have a free control of your presentation. Customizing the duration of each path in your presentation is beneficial for displaying your content preferably. As a wonderful platform for creating customized digital presentation, Focusky enables you to arrange presentation contents with a logic path. Indeed, a suitable duration of path is good for presenting the content. Thus, customizing the duration of each path in presentation would engage people with fascinating experience. Two simple ways for you to custom the duration of each path. 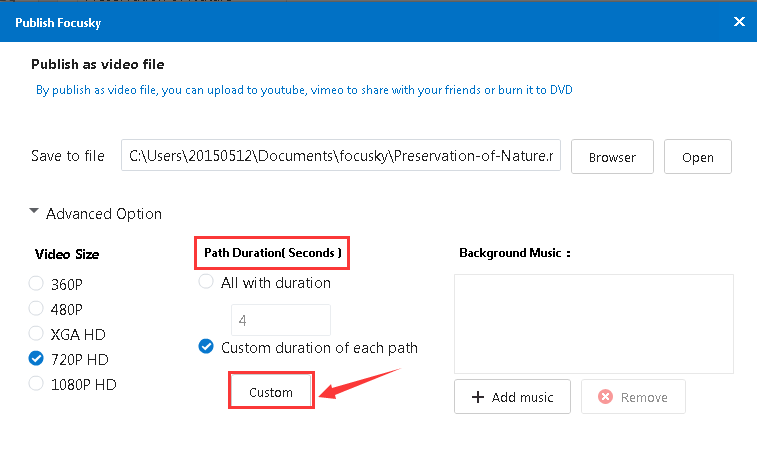 Enjoy the video to learn how to custom the duration of each path. 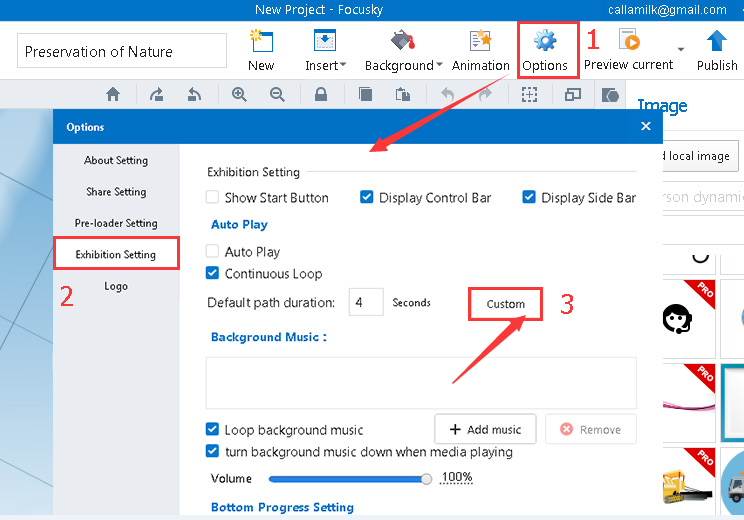 Click the "Options" icon and select "Exhibition Setting" item, then hit click "Custom" button to custom each path duration. Save and preview your settings. 2 "Publish"--Choose a Publish Type--"Advanced Option"--"Custom". When you publish your presentation, you are able to design the duration of each path. Click the button "Publish" and choose a publish type. 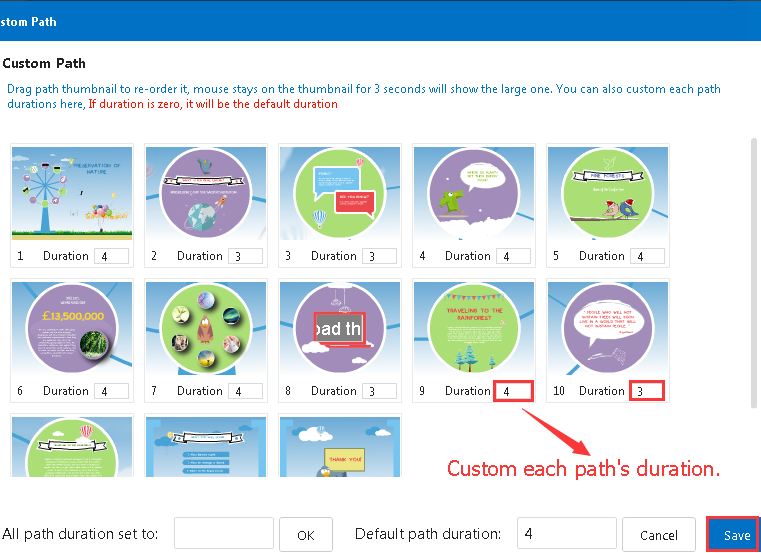 Then in "Advanced Option" part, you can also custom each path durations. After setting, you can save and preview your editing. How to navigate with left sidebar? How to delete the repeated path of the same object? How to spin a path?